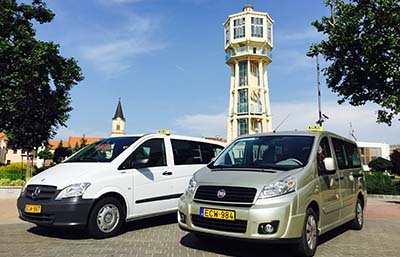 Rent a Minibus, Bus, MPV, Van with English speaking driver in Siófok. trips, airport transfers between Siófok - Budapest. Transportation with 8, 9,18, 20 seater minibus. According to the new decree of the government, from 2016 a multi seater taxi can only transport a maximum of 6 passengers. Considering the circumstances and needs - tourism, conferences, buisness trips, ect. - at the Lake Balaton, Siófok and Zamárdi we are at our customers’ service with 8+1 seater minivan too. 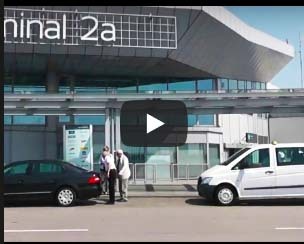 - Transfers between Siófok Budapest Airport and Budapest Siófok for fixed prices - Airport Transfers - Budapest, Vienna, Graz, Zagrab, Ljubljana, Maribor, Hévíz. So long as there are more than 6 passengers, our 8+1 seater minibus is at your service. Do you have too many luggages? Not a problem! We have a truck trailer - for extra cost! English, German speaking driver is available. More than 8 passengers? We have 15, 18, 20 seater buses and truck trailer - if needed – for extra cost!. Minibus trips with English speaking driver or travel guide. From the point of tourism and culture, Siófok and the Lake Balaton has a highlighted role. According to this, we organise trips for small groups, sightseeing tours – with minivan and bus. 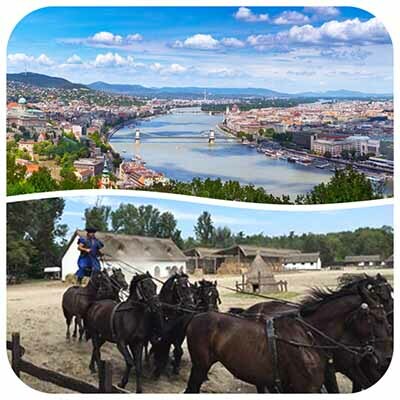 We do not have collecive or shared transfers or trips, but appealing to the personal needs, we offer and organise Budaoest sightseeing tours, traditional hungarian programs – horse shows, wine tasting – in Badacsony, Szígliget, Balatonlelle, Balatonboglár, Balatonfüred, Csopak and Zamárdi Szent Kristóf Winery. * The prices on the page refer to the category of the cars and not for per passenger and they are only informative. They can change depending on special/extreme circumstances and tasks. - Call us for offer, or fill in our inquiry form below! 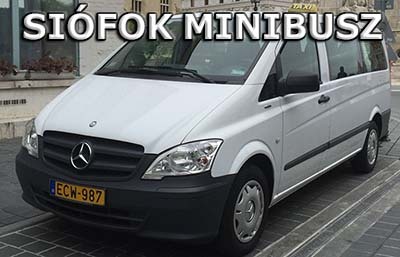 Siófok Minivan taxi - for 7, 8, 9 passengers. With even big space and luggage-rack, it is really comfortable for long trips, airport transfers, hotel transfers, international journeys with many suitcases. Fully air-conditioned premium category, especially for smaller groups. 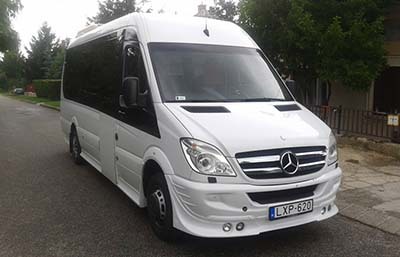 Siófok Minibus – Mercedes minivan for 9 passengers, fully air-conditioned, premium category. Best option for companies, sports events, conferences. We recommend this service for hotels, travel agencies, companies to carry out airport transfers or international trips. Between Budapest Airport and Siófok, the price can be more reasonable than travelling by train or bus. Siófok Minibus - 18, 20 seater Mercedes minibus. Fully air-conditioned, premium category. We recommend this car for companies, travel agencies, bigger groups for airport transfers or international trips.